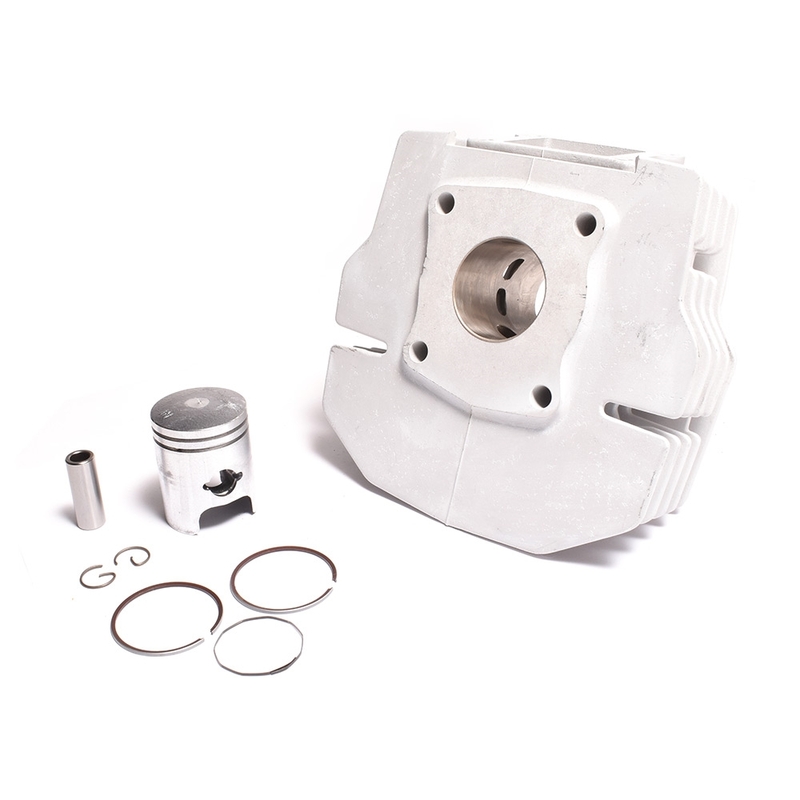 honda mb5 "IMPORT" 70cc cast iron sleeved cylinder kit. comes with cylinder, piston, rings, wrist pin + clips! sorry no gaskets with this kit so get some HERE! fits a wide range of honda models - MB5, MB50, MBX, MTX, so on and so forth. do your research! lots of info HERE if ya need it. Despite the TERRIBLE reviews on MA, I bought this kit. Out of the box the ports were nice and smooth and the piston rings were gapped properly. Bolted this up with my stock head, running with a mikuni VM20 with a nos stock pipe from treats and my mb5 is running great. Kit runs well once broken in. Needs some cleanup, and the head bolt hole mount (with 70cc head) do not line up on the MB5 frame, but a small bolt can still be used. Good performance for the price!